There is a great youth hostel in Moab, Utah called The Lazy Lizard. The town of Moab is surrounded by a stark wilderness filled with deep canyons, sheer cliffs, and incredible rock formations that flirts with extreme sports enthusiasts, teasing them into seeing the desert and canyons as potential conquests. The Lazy Lizard rests among this energy, a seeming anachronism. Those who stay at the youth hostel in Moab have days filled with gritty, sweaty, adrenaline-charged excursions into the beautiful yet dangerous landscape of the high desert of Utah; those days, however, are book-ended with relaxed integration into the youth hostel’s community of travelers. Shared beers (or coffee), at times shared silence, and at times shared stories that often have the rhythmic feel of tall-tales seamlessly meld with the adventures of the day, and those of us who have stayed at The Lazy Lizard have a tendency to conflate the times of rest with the times of action. Dreams don’t have to be purely ethereal. 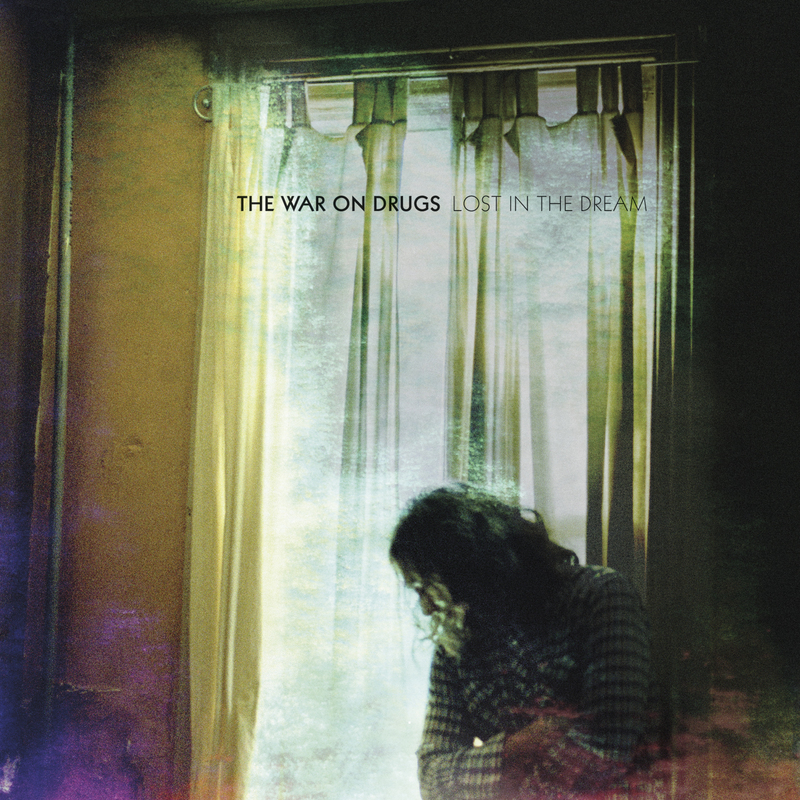 The War on Drugs demonstrates this with the new album Lost in the Dream. 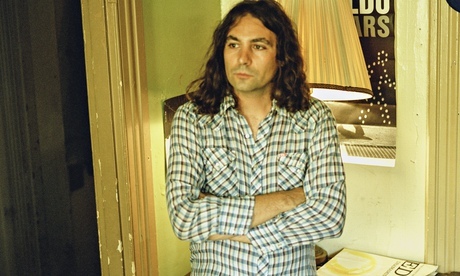 The War on Drugs is a band that reaches back into the 80’s and pulls that decade’s best into the present. I get that. Reviews of Lost in the Dream, the band’s latest release, are replete with favorable comparisons to musical icons as well as somewhat muted astonishment at front man Adam Granduciel’s ability to take nostalgic musical tropes and remind us of what we once loved. Some reviews have even gone so far as to declare that Lost in the Dream has the potential to go down as the album of the decade. I don’t necessarily disagree with any of my fellow music critic’s epochal hyperbole, but I’m afraid that at times our penchant for historical categorization causes us to lose our footing in the present. I don’t know, maybe it’s because I’ve been reading a lot of Agrarian writers lately, but today, as I listen to The War on Drugs, I want to revel in the beauty of the here and now without it being unnecessarily propped up by wistfulness. And, with Lost in the Dream, The War on Drugs has given us an album that is beautiful right now. Based in Philadelphia, The War on Drugs’ music is often classified as “space-rock.” Even if you don’t believe that “space-rock” is an actual genre, it’s hard to deny that The War on Drugs would be the current standard bearer if the genre did indeed exist. No matter what word you use to describe The War on Drug’s music, their courage and power as musicians is rarely, if ever, called into question. With the previous album Slave Ambient the band proved willing to push past their rock sound that is rooted in Americana and lay claim to their own masterful reimagining. Lost in the Dream has been three years in the making, but it was well worth the wait. There is an ethereal quality around the edges of the album’s songs that give Lost in the Dream a transcendent quality that fits with the album’s name. But, the big guitar riffs and driving rhythms ground the album in immanent rock and roll staidness. There is a balance to the album that is at times obvious (in a good way) and at times not obvious (in a good way). Even the ordering of the tracks contains a subtle rhythm that matches the music. The songs have definite melodic centers, but many of the tracks utilize contemplative harmonies, rhythmic structures, and distortions that help create an emotive experience that is more often associated with ambient music than with rock albums. Speaking of balance, Granduciel’s gravelly yet melodic baritone voice doesn’t allow the listener to fly too far afield within the weighty dreamscape carved out amongst the soothing familiarity of rock and roll. This is a visceral record that has the balls of classic rock, the narrative structure of Americana, and the ability to provoke mood and contemplation. Lost in a Dream contains ten tracks, and while I have my favorites (“Red Eyes” and “Eyes to the Wind,” to name two) I hesitate to label any of the songs as “highlights,” out of a fear that I will do injustice to a expertly integrated album. Lost in a Dream isn’t an album that should be divided and parsed, as if The War on Drugs has produced a musical buffet for self-serving hands to selectively paw over. I will, however, end where the album ends, with the closing song “In Reserve.” Granduciel confesses to the listener, “As I struggle with myself/as I let the darkness in,” but he quickly transitions to “I don’t mind you disappearing/because I know you can be found.” The sonic landscape of ambient tones fleshed out by the guitar and drums of rock and roll surrounds Granduciel’s existential angst that is balanced by the comfort of reality creates a song that lets us know that being lost in a dream doesn’t have to be as ethereal as is often supposed. John Ellis writes more great things here.